A stated meeting of Ashara-Casiphia Lodge No. 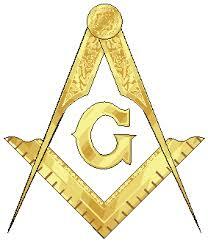 551, Free and Accepted Masons will be held at the Donegal Masonic Center, 710 Anderson Ferry Road, Mount Joy, Pennsylvania on TUESDAY EVENING, APRIL 23, 2019 At 7:00 o’clock P.M.
Rehearsal will be held at the Donegal Masonic Center, 710 Anderson Ferry Road, Mount Joy, Pennsylvania on THURSDAY EVENING, April 18th, 2019 at 6:30 o’clock p.m. When the weather finally begins to turn it is usually after the period of uncertainty and strife known as March. In March we begin hopeful and delighted to hear the birds sing of springtime, only to be caught entirely off guard with that last snowfall. March is a month which always reminds me of the difficulty of change. There is always a period of discomfort and unfamiliarity as we shrug off what we’ve known striving toward something better. But just as the birds sing every day, if you are going through a change it is important to remember what good may come out of it and not become too discouraged. Even when it starts to get warmer then immediately freezes over again, listen for that part of you hopeful for a brighter future and keep moving forward. Soon enough March is finished, and April arrives with its bright colors and warmth. There are still the occasional showers, but when a change is ultimately positive the sun will continue to get brighter. Please inform Secretary if you have a new address to save Lodge postage money. DUES ARE NOW PAST DUE: If dues are not paid by the stated meeting on April 23, 2019 action will be taken on those members who have not paid 2019 dues. If you lose membership in your Blue Lodge, you will lose membership in all appendant Masonic bodies that you are a member. You are hereby requested to attend a public Datestone Ceremony of the Grand Lodge of Pennsylvania to be held at 3:00 o’clock p.m. on Thursday, May 30, 2019 at the Masonic Village, 1 Masonic Drive, Elizabethtown, PA 17022. You are hereby requested to attend the June Quarterly Communication of Grand Lodge on Saturday, June 8, 2019 at the Greater Pittsburgh Masonic Center, 3579 Masonic Way, Pittsburgh, PA at 10:00 a.m.